How and where does a blog strategy start? 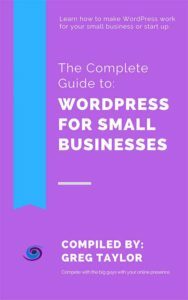 Most people, us included, get their start with WordPress through blogging. WordPress gives individuals, brands and everyone in between a voice. Matt Mullenweg’s ideal of democratizing publishing was a game changer. There are many ways to involve your blog in your brand strategy. The blog can and should be the center of your content marketing strategy and deserves all the attention it commands. Greg Taylor from Trinity Web Media discusses how to use your blog as an integral part of your brand’s digital marketing strategy. For more information about blogging, blog strategy and other digital marketing topics please subscribe to our YouTube channel or Trinity’s podcast, The New Marketing Show.